So...what do we have here? Other Info: Hot-B of Japan now belongs to Starfish-SD. Therefore, there is no link here. 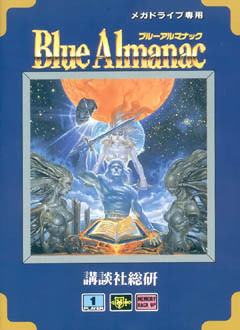 There really isn't a whole lot to say about Blue Almanac...really...I'm serious.......OK, OK, maybe I can say a little bit about the game. The game isn't particularly impressive, the graphics don't really show off much of what the Genesis can do nor does the audio or gameplay. 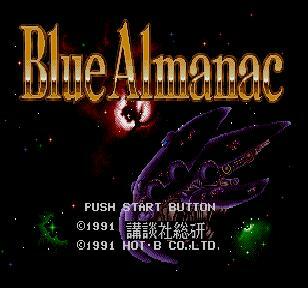 If Blue Almanac is such an ordinary game, why even waste time talking about it? Well, for starters, the Genesis doesn't have a whole lot of RPGs, so when one outside the norm is mentioned, some people become curious. Secondly, I like talking about obscure games. 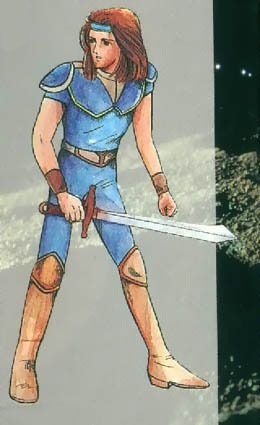 Lastly, I like the somewhat futuristic Phantasy Star approach of the game. 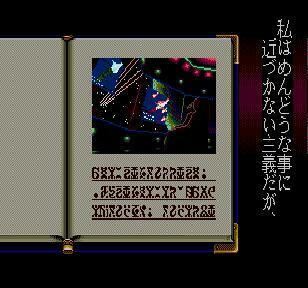 The game has you play with a youth named Miyabi at default (whom I shamelessly plugged my name into) that must travel through the Star Port as well as through caves and dungeons to perform various good deeds and be known as legendary as he travels to the edges of the Galaxy Union Empire. Your character is sixteen years old and due to a great crisis that happened when he was an infant, your parents were forced to place you into a life capsule and shoot you out into space. During your journey, you will meet a couple of other characters that will help you on your quest as history and the future become one. A blue book of knowledge (probably the Blue Almanac) tells the tale of a warrior and his struggles and you must live out that tale. As you can tell from the screens below, the graphics are unremarkable. The battle scenes are better than I expected and some spells look fair enough, but things can get quite pixilated and fuzzy at times. 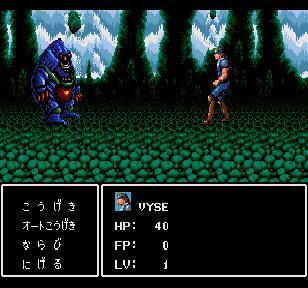 Certain enemies are fairly detailed for the time while others look fairly ugly, though the battle backgrounds are okay. 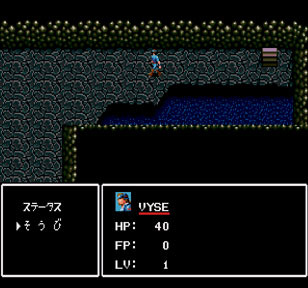 Looking at the overworld graphics, the game looks somewhat like Phantasy Star II, but not quite as good. Somewhat disappointing for 1991 and the Genesis can do better even in 1991. However, in all fairness, Hot-B usually makes niche titles and are nowhere near as skilled as Sega so I will say that the game is very average. The sound is very ordinary and while it isn't bad, it isn't exactly great either. The sound overall is fair, though a couple of sound effects are a bit annoying. 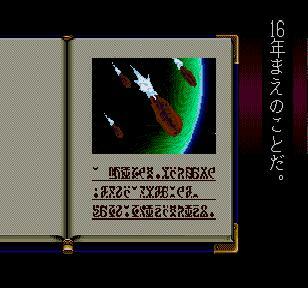 To balance things out, the game also uses Japanese voices to pronounce the force abilities, which I suppose is a plus. As you journey, you'll have access to more party members, new force abilities (Magic), and more weirdness. You start the game solo and you don't start with any force powers. The interesting things about this game is that enemies grow stronger as you do and you can combine different force abilities together to make new special skills. You buy equipment and battles are mostly fought like traditional RPGs. 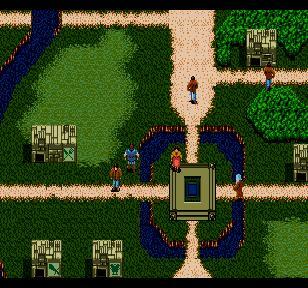 Blue Almanac is a slow-paced RPG that isn't particularly exciting, but it's not exactly an abysmal game either. Also, the earlier portions of the game may prove to be a bit tough since enemies grow in power as you do. If you can get beyond the drab beginning, you may find something of interest. 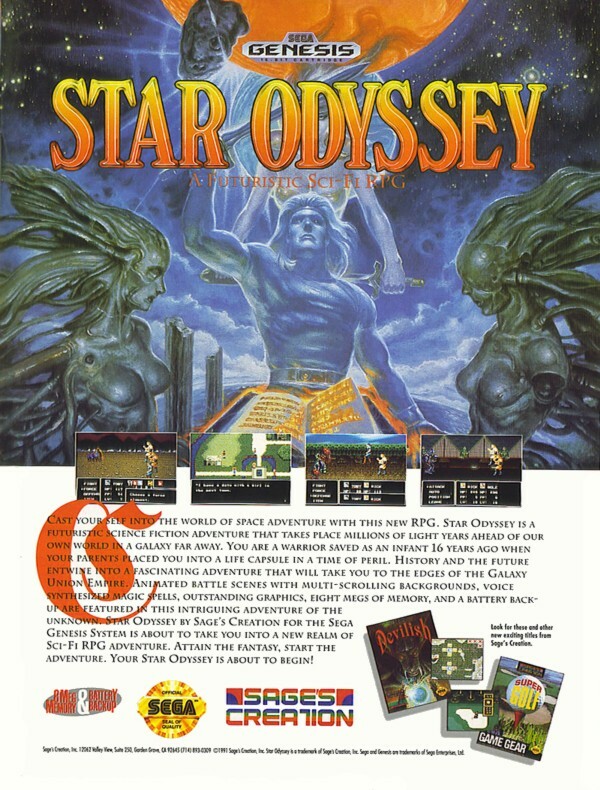 One thing I thought was a bit interesting is that some say this game was slated for a U.S. release by Sage's Creations (They published games like Devilish and Ka-Ge-Ki in the U.S.) under the name of Star Odyssey. The idea was eventually scrapped.